In a post of mine a few weeks ago I alluded to a mayoral scandal that took place in Toronto in 1852. I held off as long as I could, but now it’s time for me to delve into that scandal. So grab some popcorn, turn on some Pink Panther tunes, and allow me to do my best at re-telling the story of the first head-turning, gasp-inducing shocker to emerge from city council. 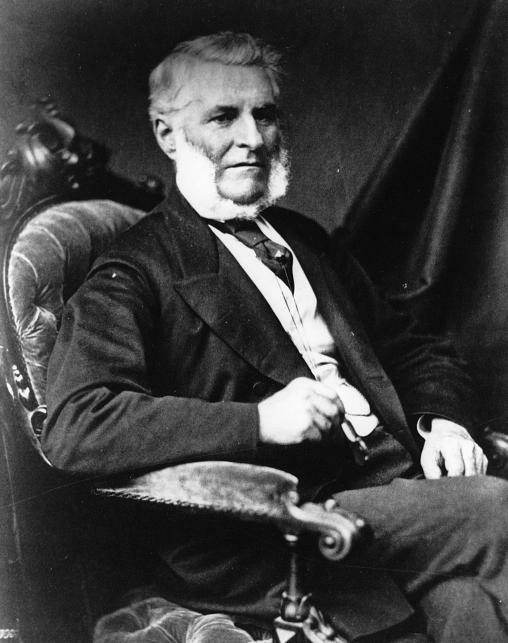 John George Bowes was a successful business man living in Toronto when he was elected as an alderman in 1850. 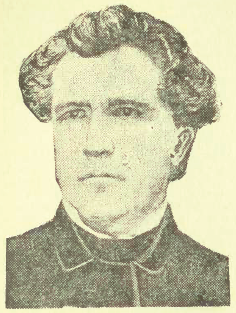 At the time, mayors were chosen by the members of city council nominating one of their number, and the following year JGB received the double election whammy to become mayor. Even though he was then in the public sphere, he still pursued his financial ventures through his firm Bowes & Hall. This was a perfectly legitimate 1850s practice when, more than now, business aristocracy and political influence were very hard to extricate from each other. Our seriously salacious story of scandal begins on November 6, 1850, when Bowes was still an alderman. City council had a special evening meeting where they discussed a recent proposition sent by a railway company, asking for the city to invest £100,000 (which is Canadian pounds) in their company in order for them to be able to build a railroad going to and from the Simcoe County and Georgian Bay. There was some debate, but Alderman Bowes spoke up in fervent favour of the deal; he thought it was a slam dunk (my words), and that it was good for the citizens and industry of Toronto and the development of Canada West. He had done thorough research about how much money it would cost to make this new railroad, and also how quickly it would start turning a profit, given the rapid expansion of the areas it would serve, and their industries. 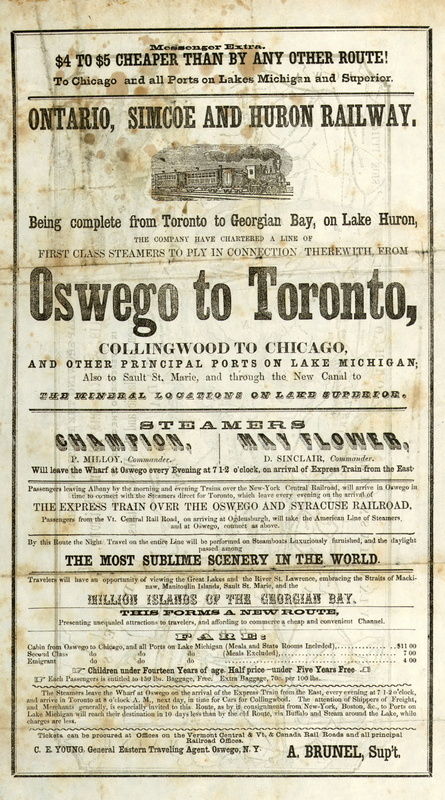 I mean, the man knew his railways; he was president of the Toronto and Guelph Railway Company, which was one of the companies that became the Grand Trunk railway, and also a constantly enterprising merchant. All of council agreed it would be beneficial to Toronto, so they moved forward and sought legislation allowing them to issue debentures of up to £100,000, which became law in August 1850. Keep in mind that in the 1850s, £100,000 Canadian pounds is roughly (very roughly) equivalent to $10 million today. Time (and more legislation) passed, and the amount of stock that the city agreed on purchasing from the Ontario, Simcoe, & Huron Union Railway (I’ll call them OS&H for short) ended up being £50,000, payable in debentures from the city. Here’s where it gets juicy (and convoluted if your brain gets fuzzy and sleepy whenever you see words like “debentures” and “stock” and “payable” like mine does, but bear with me). The OS&H stock value had depreciated and Bowes somehow ascertained that the contractor (who OS&H contracted to deal with these kinds of transactions) was willing to sell those debentures at a 20% discount. The thing is, Bowes learned of and pursued this potential money making lead as a private speculator, not as the mayor of Toronto, but presumably he was both privy to this information and had an in with the contractors because of his civic role. So they go through with this deal, with Hincks’ money acting as a kind of deposit before the City’s bank-drafted debentures can go through on the official deal. The kicker is that the rest of the city council didn’t realize Bowes made the deal at a discount. So he spent the £50,000 that the city had agreed to spend, but the debentures only cost £40,000. So after they re-sold the extra stock at full price, and with some fees and interest and suchness, Hincks and Bowes ended up making just over £8,200. After they split it in half, Bowes walked away with the rough (very rough) equivalent of $500,000 in today’s money. The story began to come to light in early 1853, and there were a few more shady dealings before it blew up in the media. There was an initial report on the deal done by a committee on city council, and they reported, vaguely, that the mayor was involved in something fishy in the transaction. JGB wrote a letter to the committee claiming that all he did was introduce the folks at the bank to the contractor that was selling OS&H stock. The committee bit on this and they wrote a new report absolving the Mayor entirely. The extra tricksy thing is, this new report was done after a number of members of the committee had left for the evening, so there was some question as to whether or not the remaining committee members were turning a blind eye to the mayor’s actions, or worse. There was some fierce debate and eventually the report was accepted by council, but not before the council and the public had been informed that the Mayor might have been up to something. That was enough for a lawsuit to be filed by the City against the Mayor and by the fall of 1853 things got a little crazy on council. There were resolutions made to censure the mayor while the lawsuit was going on, and there were aldermen that were furious with the mayor for not only his conflict-of-interest deal, but his blatant lying to the council about his involvement. There were also those who defended the mayor, claiming council couldn’t do anything about unproven allegations that were still in court. I’m sure lots of yelling and interrupting and harrumphing happened, and eventually 8 alderman resigned in protest. They all ran and were all re-elected in the next election. It was a long and arduous trial (the prosecutor being Oliver Mowat, actually). On one particular occasion Bowes was on the witness stand for seven hours. He claimed his speculation was absolutely legitimate as a private citizen and as the “Bowes” half of Bowes & Hall, and that his £4,000 profit had nothing to do with the city. He was eventually found not guilty of fraud, but it was found that during this purchase he was acting as a trustee of the city, and therefore had to pay to the city any profits he had made, amounting to £4,115 17 shillings, and 3 pence. He appealed twice, in 1855 and 1858, to no avail. Some said he was unfairly accused and would have profited whether he was mayor or not, and some said it was a horrendous abuse of his position that laughed in the face of public trust. Either way, the Ten Thousand Pound Job, as it was dubbed, will always live in infamy as the first of many homegrown scandals in Hogtown. After the dust settled on this ordeal a couple years later, JGB was actually elected alderman again in 1856, and in 1861 he was elected mayor directly by the public. I suppose most thought he acted poorly in 1852, but he took enough of a break from the limelight and had banked enough positive recognition to be able to win public favour back. As for our buddy Hincks, I couldn’t find any evidence that he was tried (apart from being a witness in Bowes’ trial) or had to pay back the profit he made. And just for the record, I think “Ten Thousand Pound Job” by JGB feat. The Hincks would make an awesome hip hop or jazz track, if anyone wants to take a stab at writing it.